It’s hard to fight diabetes alone. That’s why Mt Sinai, the University of Toronto, and Harvard’s Joslin Diabetes Center came together to lead research to help current and future generations of people who have T1 Diabetes. Taking part in a research study isn’t normally the most exciting part of someone’s day. So how do you brand a research study so that people will sign up and participate? The icon does triple duty, representing T1 Diabetes, Longevity, and the Canadian spirit. 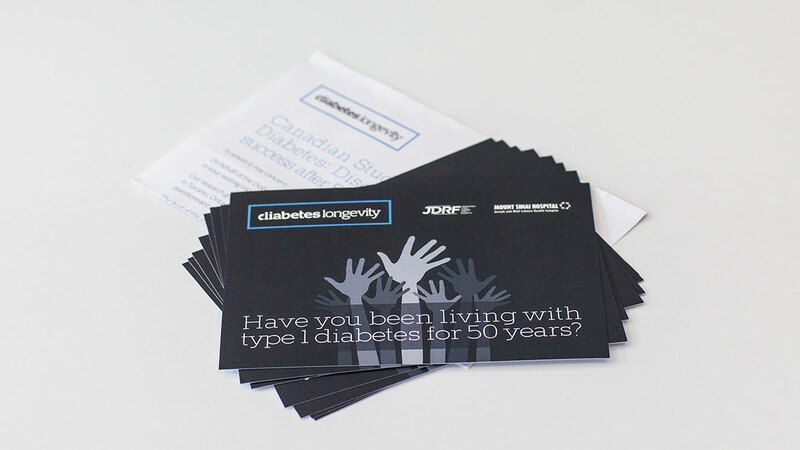 We wanted to recognize the amazing achievement of Canadians who have been living with diabetes for over 50 years. 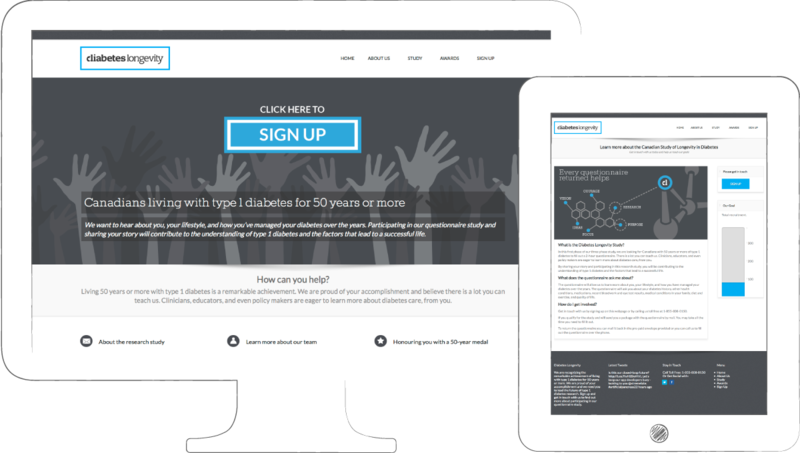 With a customized Wordpress theme, our clients can use widgets to track their goals and easily update the site—and focus their efforts on diabetes research. Everyone wins. "Creating a brand that embodies so many elements is a difficult challenge that Andy overcame brilliantly. We’re looking forward to the research that has resulted from the participants that the brand has attracted."